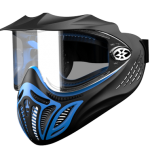 Paintball Masks - Katz Design inc.
Redefined the paintball mask industry with the first one piece goggle frame. Fewer parts equated to massive cost reduction and an increase in infield reliability. 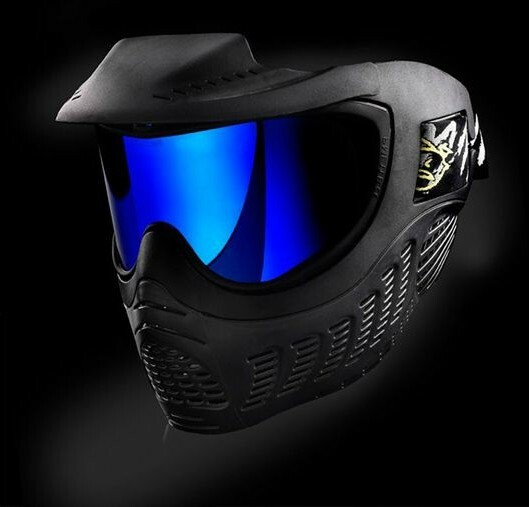 Aggressive looks set the tone for this antiballistic mask. 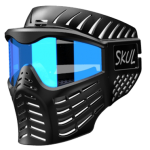 More than just passing ASTM impact tests, the Skull is a reflection of our present day “tribal” mask, demarcating sociological trends. Clean and flowing lines create a fluid form factor. Single frame design reducer cost and augment reliability. 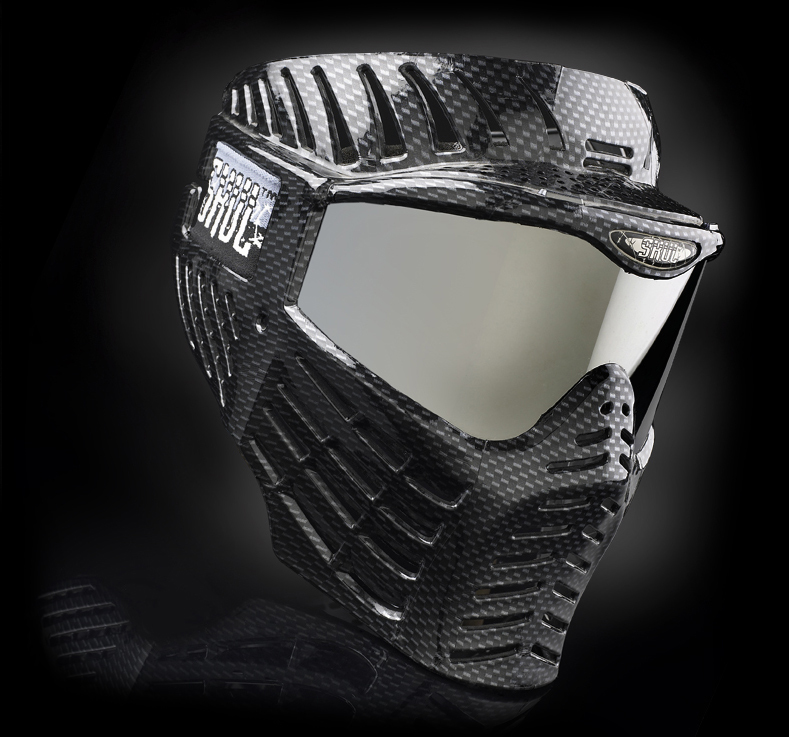 Same goggle as PMI Extreme Rage, leveraging tooling and creating an element in design coherence for 2 dissimilar products. Cost reduction was also at the core of this strategy. 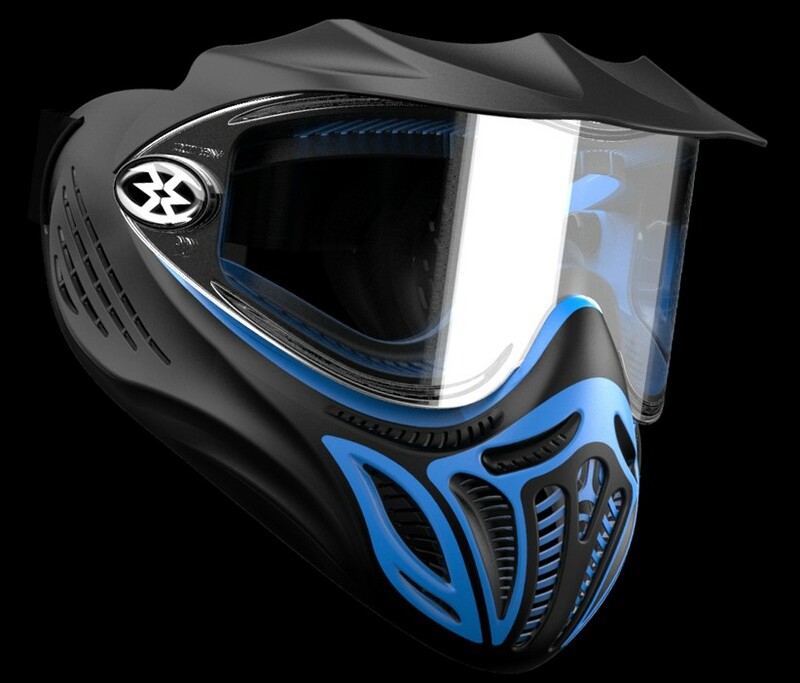 A small fan structure can optionally be added to the visor allowing clear vision even in the worst conditions helping optimize competition play. A lower end price point model, cost reduction was at the center of this design while not compromising the design statement. 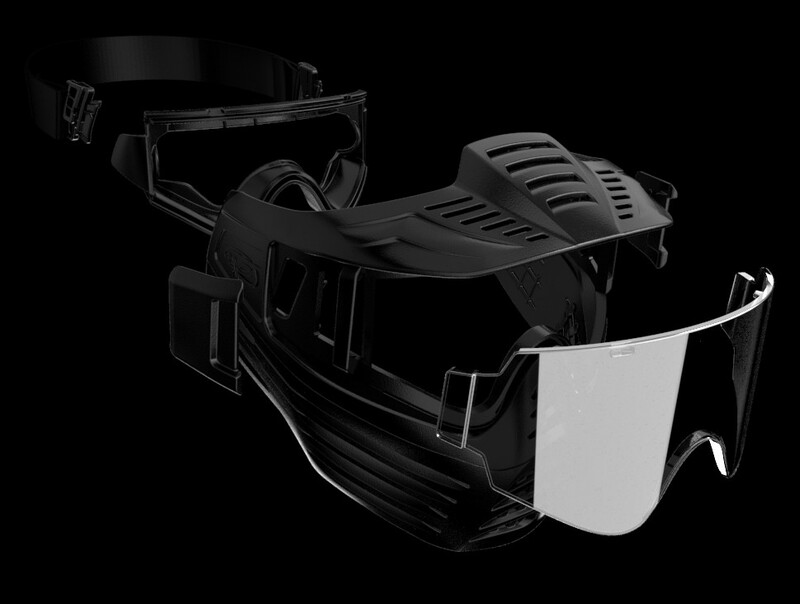 Single piece frame structure is coupled with the same goggle as that used on the PMI 20/20 helping achieve the business model desired. 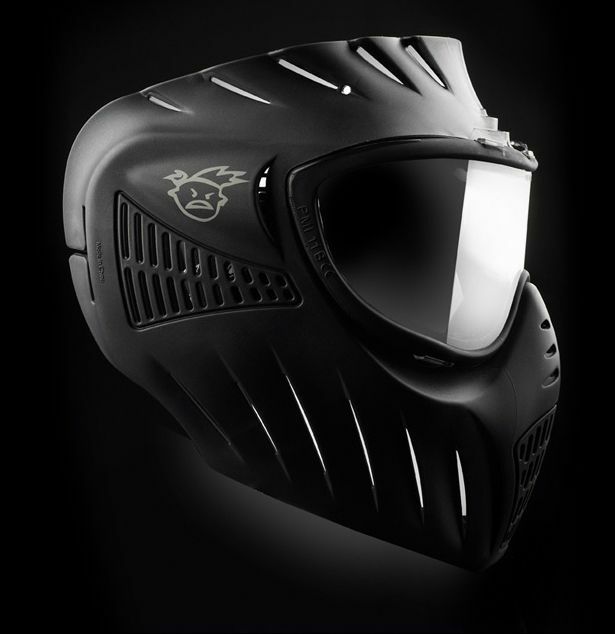 More coverage in the chin and neck area protects a wider user group. 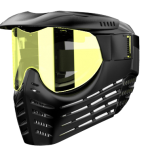 Using existing lens tooling, the Katz Design team was mandated to reinvent GI Sportz protective goggle persona. 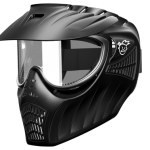 Maintaining their general corporate visual thematic, all the while adding an exciting new form factor to its offerings, GI Sportz responded to its market driven demands for an economical fast change lens system for its rental goggle business. 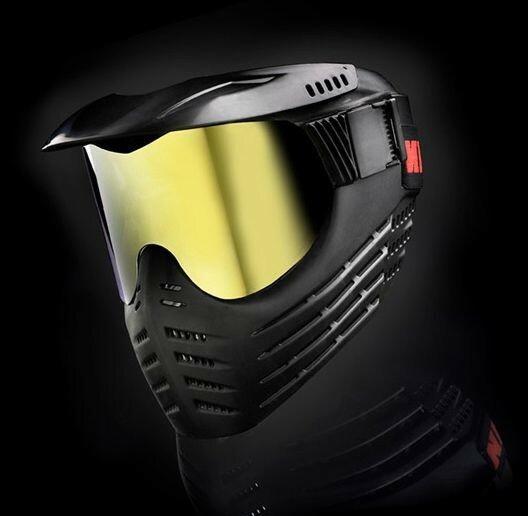 Super fast and secure lens and foam pad changing for hard use rental goggle market. 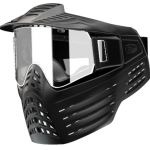 Single one piece goggle frame including visor has positioned GI Sportz to dominate in this sector of the industry. 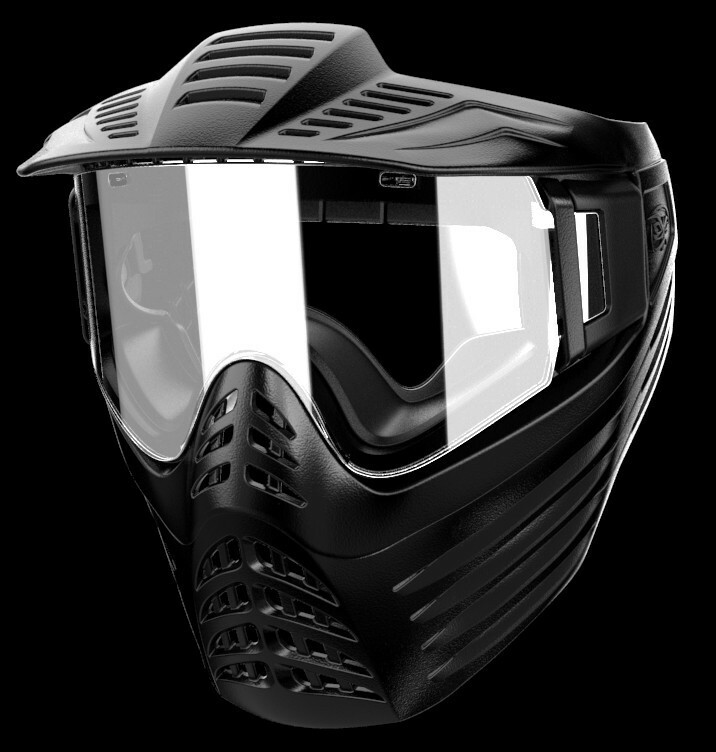 In this rental mask, lens swapping was defined as one of the key criteria. A simple quick clip system allows the lens to be swapped quickly. Double lock clipping system ensures safe closure even in the toughest conditions. 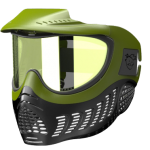 Made of a soft and flexible dual-density material for comfort, the streamlined design keeps you in the game by deflecting glancing/bouncing paintballs. Quick release twist lock lens sytem.